Accelerate your journey to an all-flash data center with Hewlett Packard Enterprise Storage Consulting solutions. 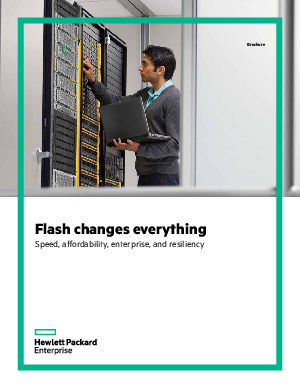 Slash costs and double performance with HPE 3PAR StoreServ All-flash arrays. Now you no longer need to choose which apps to take to flash; take them all and you won’t regret it. We deliver maximum performance, highest availability, Tier-1 data services, ease of management, and robust data protection at the lowest total cost of ownership (TCO) on the market when you engage with HPE Storage Consulting to provide an end-to-end all-flash solution.